In Rig Menu, click on SDR if you are using some of these kits. I/Q processing will be activated automatically. You need to have Stereo input or output (Usually, Mic input is mono). Adjust the I/Q balance using the Phase, Gain and Delay sliders. Configuration is stored for each band. Click on Fine for a Fine Adjust. If the SDR if shifted in frequency you can use the Offset Slider for a Fine Frequency Adjust too. 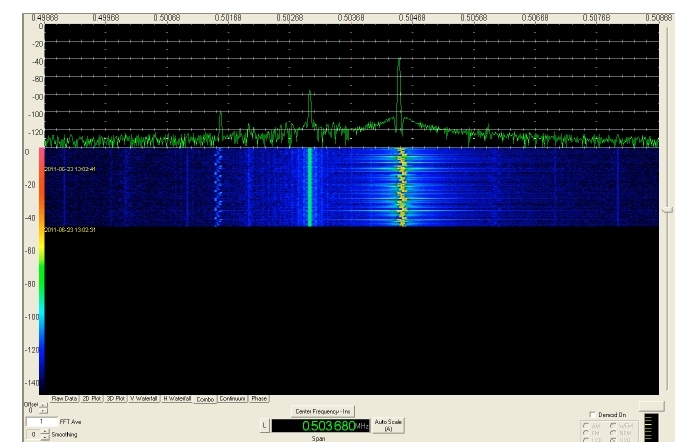 For Zeta SDR you have to to enter the LO frequency. 14.318/4 is ideal for using ROS on 80 meters band. 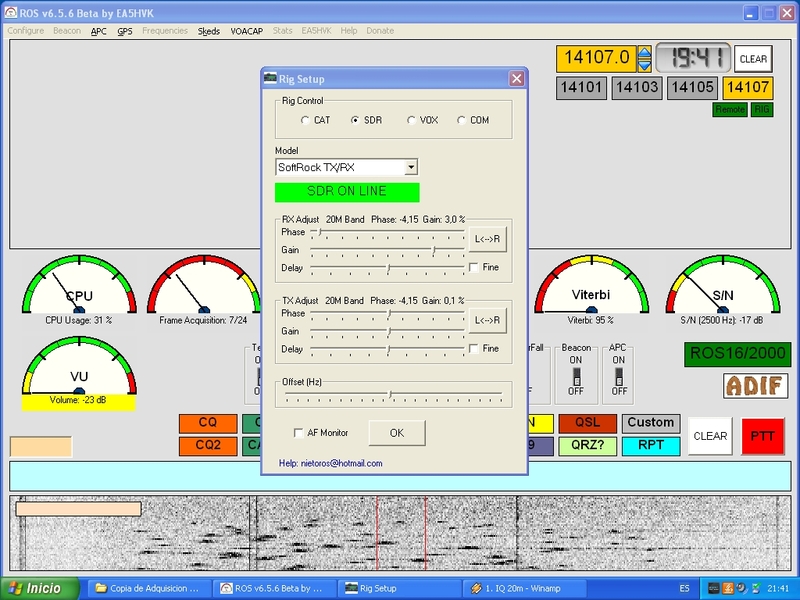 For monitoring the I/Q audio proccessed while you are decoding, click on Monitor. The Monitor audio filter is 300-2700 Hz. 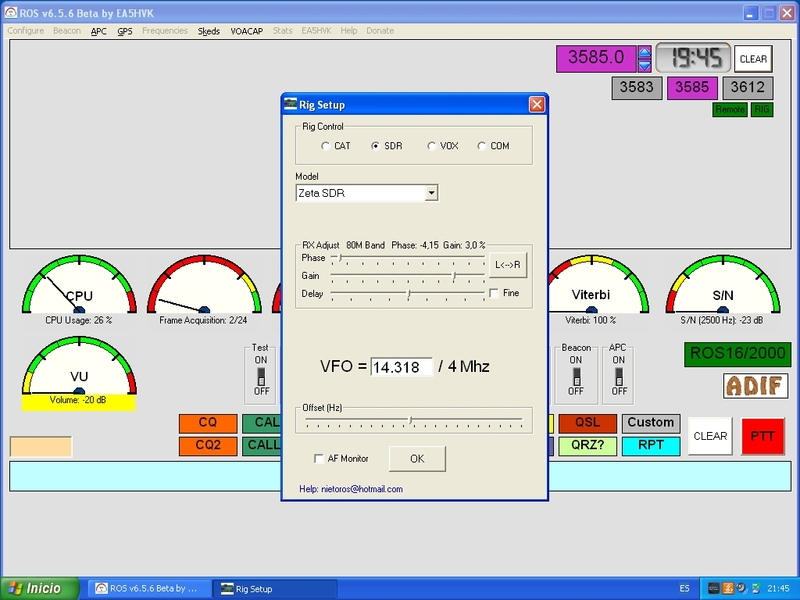 Specials thanks to Dave 2E0DPQ for a lot of test with softRock between England and Spain. He got a complete communication with Argentina on 20 meters with 1 watt and ROS. Also special thanks to KB9YIG for the Softrock TX/RX kit, and PE0FKO, PA0RWE and IW3AUT for the Si570 support, and G4JNT for the TX I/Q adjustement test.